Unbelievable... 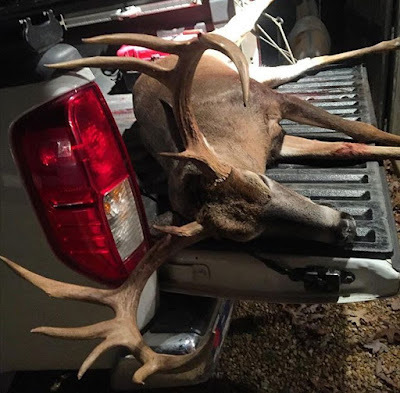 In the Belchertown area someone shot and killed this cow moose between 12-16-2015 and 12-20-2015. The cow and her calf had been seen regularly in the area. Anyone with any information on this is asked to contact the environmental police. 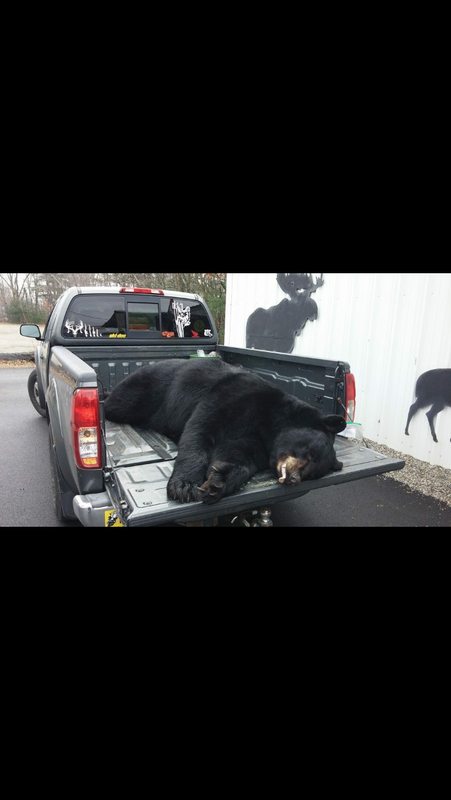 Potential MA record bear taken on Thursday! I can't believe this bear! 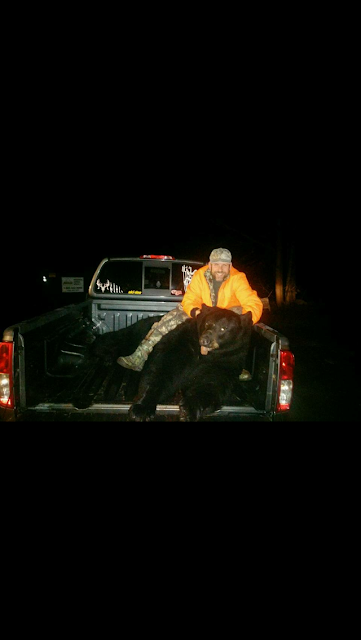 According to the local check station Jim Mundell from Athol checked in this 498lb Black Bear which is likely to be a new Massachusetts State record! They are still waiting for confirmation but what a monster. Just take a look at some of the pictures shared! 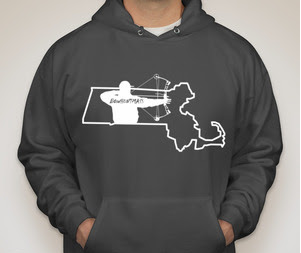 Order your BHM Decal, T-Shirt and Hoodie in time for Christmas! 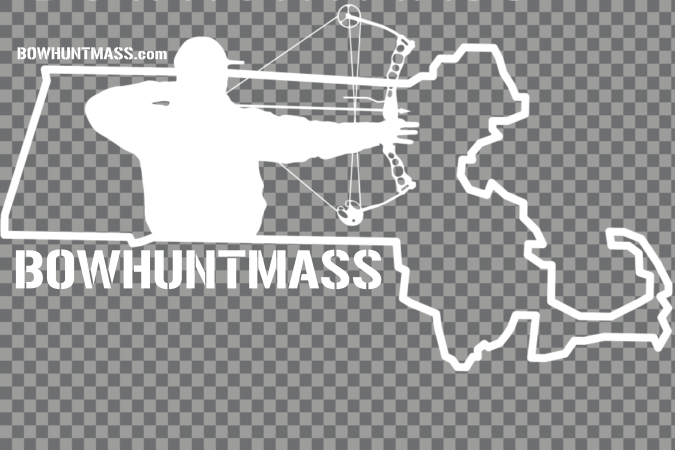 BOWHUNTMASS official Asphalt/Smoke Apparel, available from M-XL. We have plenty of T-Shirts left but only 5 Smoke Sweatshirts remain! More Window Decals are now in! Order here! More Window Decals have arrived! 4" x 6" and still $10! 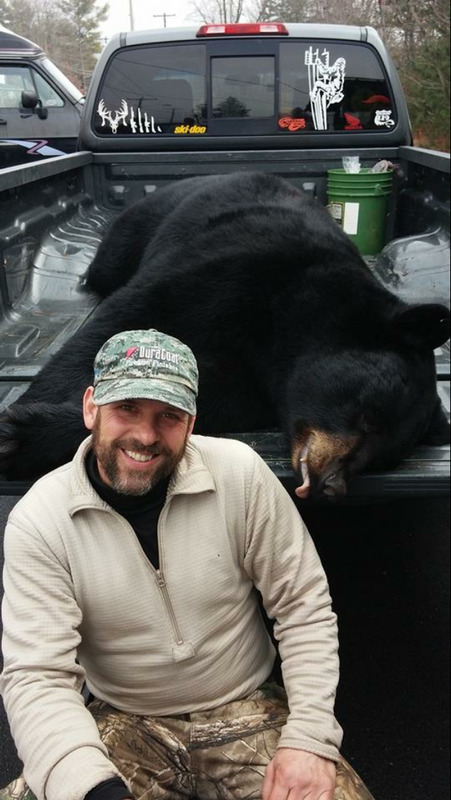 According to a source, there will be a hearing on the subject at 1PM Tuesday November 10th at the Westborough Mass Wildlife office 1 Rabbit Hill Road, Westborough, MA. 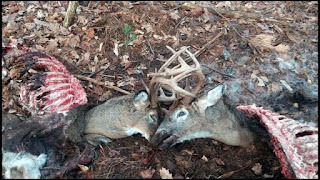 Bill H.762, H.3236, H3239 all address the repealing of the hunting ban on Sundays in Massachusetts. The reason we support hunting on Sundays? 1. More time to hunt. 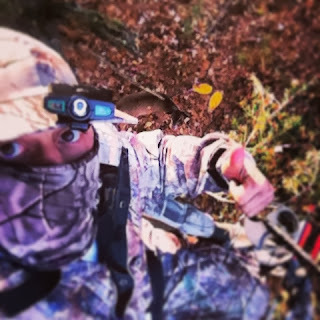 One more day of hunting in Massachusetts each week gives us hunters more time to hunt. 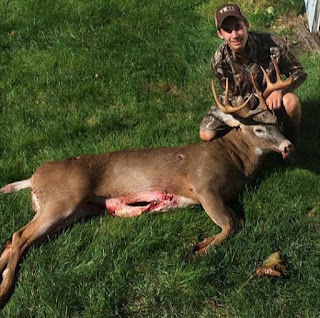 Most of us hunters are not lucky enough to work from home or to take the entire hunting season off so we're often limited by our work schedules. We'd gladly trade Monday for Sunday! 2. Economic benefits. More Hunters= More $ spent on hunting. Hunters contribute millions towards habitat restoration, preservation and conservation each year. 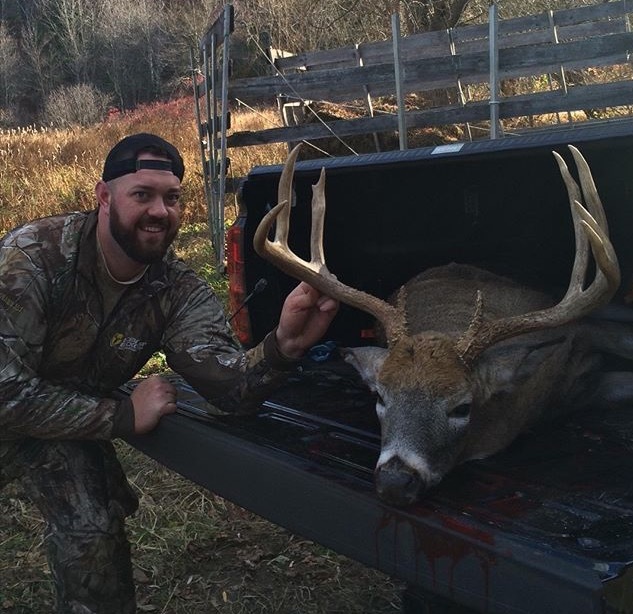 With an extra day to hunt the hope is we can attract more hunters to the sport! One estimate says it could be a $5M-$50M revenue generator for the state. 3. Join the club. Does it feel like everyone else can hunt on Sunday? That's cause it's true! Most states (like 47!) can hunt in some fashion on Sunday. 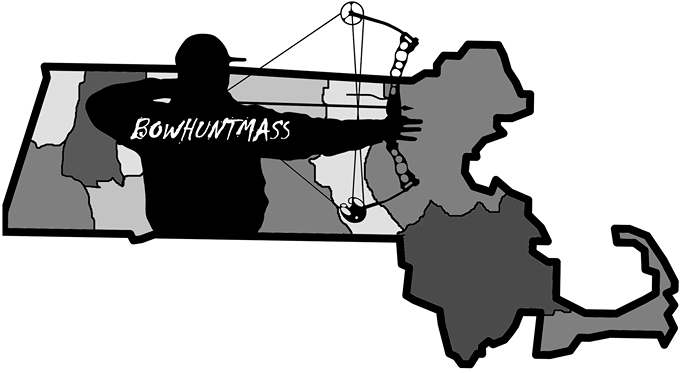 Massachusetts is one of 3 states that entirely restricts hunting on Sunday. Time to get with the times. 4. Pursuit of Happiness. Hikers can hike, walkers can walk, runners can run, thrill seekers can seek thrills, golfers can golf, bowlers can bowl on Sundays but Hunters can't Hunt on Sunday. 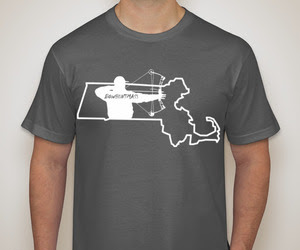 We feel like Massachusetts hunters should be able to pursue their passions and their hobbies every day of the week! 5. Fight Lyme. More time to hunt will help manage the herd. 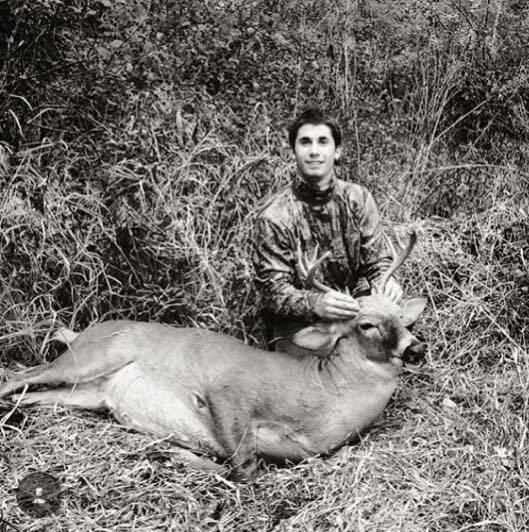 In areas where there is more than 18 deer per square mile hunting provides herd management and helps to prevent the spread of Lyme disease. 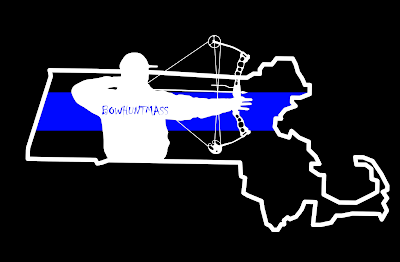 October is typically a slow month in Massachusetts. Only a select few bury their dream buck early season. Some even nail two like Dominic out of Dartmouth, MA who ran into two monster bucks in Southeast Massachusetts during opening week (above). 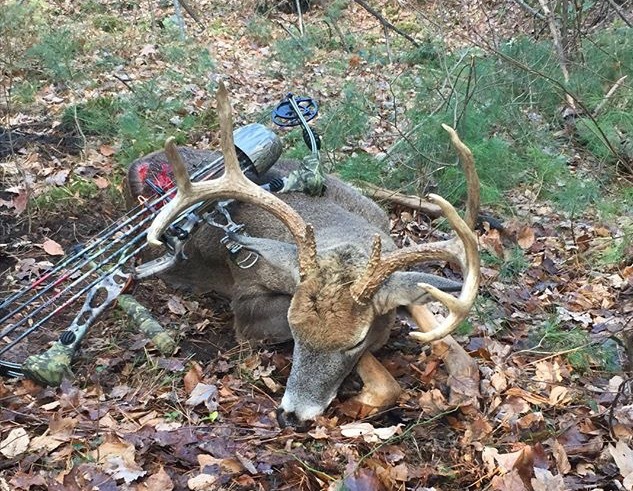 This is the first year that Bow Hunting Massachusetts has pulled together a chart of key dates. For those wondering when to take some time off from work the answers are below! October 27th-- The full moon in October. Typically there's a lot of action around the last full moon of October. 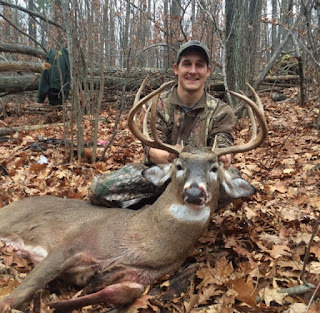 This is the first of the must hunt days in Massachusetts. If you can get in the woods for sunrise do it but if not don't be afraid to sneak out for an early afternoon hunt and see what comes out. Bucks will be just starting to look for the "early does" and starting to drop their guard. I would suggest getting some Tinks 69 putting some on the bottom of your boots and a little in a mock scrape. We have had good luck doing this in the past. 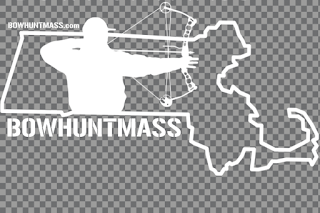 November 5th/6th-- Historically in MA these are two great days to be on the stand for morning hunts. There will be a few does in estrus at this point and the bucks will be preparing for war. Try to get out there extra early since the activity will be pretty high. Let's hope for some cold weather to go along with it. Veterans Day November 11th -- Our favorite day of the year. This is hands down going to be one of the hottest days on the stand. Get in early and try to stay on the stand all day. The breeding wont be at it's hottest until a few days later but this is our first shot at that elusive monster! 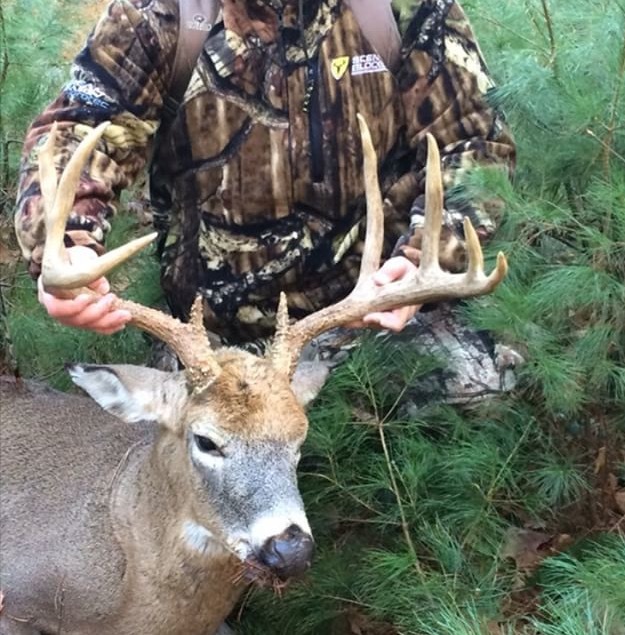 November 13/14th-- If you're a Saturday only hunter this is your day. Get on the stand early and be prepared for some extra action. At this point the bucks should be breeding does and browsing hard. November 21st-- As the weather patterns shift this is another Saturday worth waking up at 4:30AM. Get to your stand early and dress warm. The bucks should be moving and their guard will be down. November 26th-- Happy Thanksgiving. If you haven't nailed one yet, don't fret.... Thanksgiving might be your day. 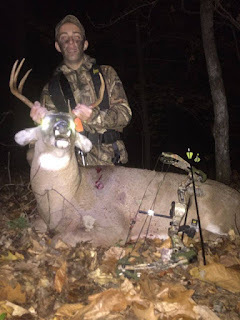 The 26th is the day after the November full moon and might be your last shot of getting that big buck before the gun season starts. 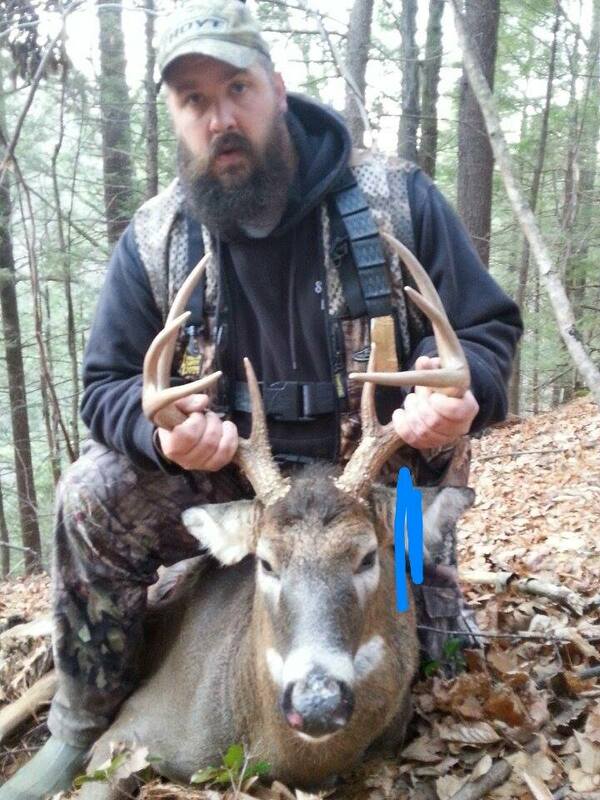 We here at Bow Hunting Massachusetts are usually frustrated by following rut reports from the major sites. 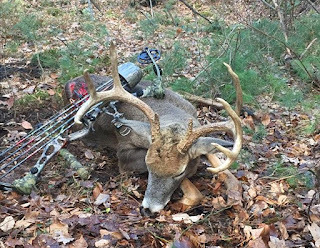 While we like to reference those rut reports, anyone who has hunted in the Northeast knows that the rut comes to different parts of Massachusetts at different times. We have our 2015 rut report ready but not exactly ready for publication until Tuesday!